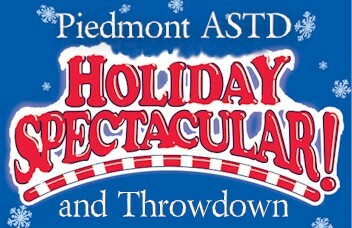 ATD Piedmont - Holiday Spectacular Featuring the Throw-Down! Holiday Spectacular Featuring the Throw-Down! If you think or have heard that training and organizational development is boring, than this is for you! Come to prove it’s fun, entertaining, and educational, or come to critique those who seek to prove it! Join a big crowd at the Holiday Spectacular Featuring the Throw-Down – the crowning event for Piedmont ASTD in 2013. There will be fun, networking, food, entertainment, and there will be big prizes! Four carefully vetted training or organizational development professionals will compete for the Grand Prize and YOU will be the judge of which winner takes all in the Throw Down! Dinner and Beverages will be offered.